Nigeria is worse under Buhari, Peter Obi alleges – Royal Times of Nigeria. 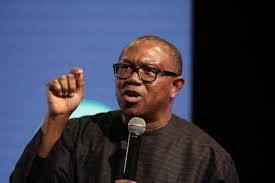 Former Anambra state governor Peter Obi on Wednesday alleged that Nigeria has become a worse country in all sectors under president Muhammadu Buhari. President Buhari as an aspirant in 2015 under the platform of the ruling All Progressives Congress campaigned on three key areas of reviving the country’s economy, security and fighting corruption. But, Peter Obi, who spoke on a Channels Television programme, Sunrise Daily said the Buhari administration had not lived up to its campaign promises. Referring to Nigeria as a company, Obi said “If the CO wasn’t doing well, so we choose to hire you, but about 10 million Nigerians have become poorer,” Oni said. “It is only in Nigeria people are going for elections and they start faulting what was happening then. What were you assuming when you were promising us you will bring fuel price to N40. Obi noted that Thailand with a same number of citizens under poverty as Nigeria in 2000 had improved the lives of its citizens. He also stated that the Nigerian stock market, unlike never before, has lost over N2trillion in 2018 under president Buhari. “Instead of improving indices, unemployment is going up. Businesses are loosing more money. We are not expecting 100% result, but we want 100% performance,” Peter Obi said.